This plan is designed for individuals who are regularly active no more than 3-4 times/week and are looking to transition into a more rigorous training approach to prepare them for big-game hunting in the high-country (think Rocky Mountain Elk or Mule Deer). It provides a solid foundation of strength training for core muscles used during uphill propulsion while carrying a heavy pack (work that every hunter hopes for). In order for this plan to be effective, it is important to keep a few concepts in mind: 1) Rest when you are tired. If you miss a workout do not try to make it up. Move on to the next day. 2) If you miss more than two workouts in any given week, then repeat that week. This includes if you get sick. In this case, we recommend that you do not train! Training while sick often leads down a long path of misery and delays long-term performance gains. If you get a cold or the flu, rest. Take the week off and, depending on how long you are out, repeat the week when you are feeling healthy again. When you have finished this training program, you should be ready for the 16 Week Big Mountain Hunting Plan, which is designed to prep you for longer duration hunts in the mountains. The first 4 weeks of this plan are meant to help you transition you into a regular structured training program, They are primarily meant to prepare you for the harder work ahead and may not feel particularly challenging in the initial weeks. The first workout you find your lactate threshold (LT). Before we can start improving your fitness, we need to see how fit you already are. To do this, I'll have you perform two field-tests to determine both your critical intensity (CI, your highest sustainable exercise intensity) and your lactate threshold (LT, the intensity where you start to rely more on glycolytic energy production, rather than mostly fat oxidation). Use one of the following protocols to determine your LT, which will be the upper heart rate (HR) limit for your aerobic capacity building workouts. For more information on Aerobic Capacity and Lactate, threshold you may reference the book “Training for the New Alpinism” by Steve House and Scott Johnston (note: the LT is called the aerobic threshold and the CI is called the anaerobic threshold in their book, but both refer to the same physiological responses). You may also contact Dr. Ferguson if you would like to gain a more scholarly perspective on the subject. We would like you to use the first test listed below only if you have engaged in a regular low-intensity aerobic training program for over one year. By regular we mean a structured program of training at least four days a week for extended periods of at least 30 minutes of continuous aerobic work in each training bout. LT test: Walk, jog, or run on flat ground (or on a treadmill) easy for 10 minutes to warm up enough that you're starting to break a sweat. Then close your mouth, continue to breathe normally, and continue to increase the running/walking pace to the point where you can no longer breathe only through your nose. Back off the speed and hold this pace for the rest of the 20 minutes. This will also correspond to the upper limit at which you can carry on a conversation without needing to catch your breath. In your mind, make a note of what this intensity feels like and also note what your typical HR is at this intensity (check your HR monitor for this). This is your lactate threshold (LT) pace and HR. 2) Maximal aerobic function (MAF) HR estimation to determine LT.
You should also perform the first test as a comparison but use whichever is the LOWER of these two HR values as the upper limit for ALL your aerobic training unless otherwise instructed in the workout info. Note: All aerobic training for long duration activities (i.e., mountain climbing, big game hunting, alpine climbing) should ideally be done on foot. Cycling and swimming, while great exercise, are not weight-bearing exercises while running and hiking is much more specific to your sport, which requires you to perform on your feet for extended periods. This is the second of the field tests I need you to do before we can really get started. Again, before we can start improving your fitness, we need to see how fit you already are. This test helps us estimate your critical exercise intensity (CI); which will be useful for us to help control and monitor your training. It should be performed at least 3 days after any hard efforts. You can do this either on a steep treadmill (15%), a steep uphill. The test will take 30 minutes and you will need a recording heart rate monitor. This test requires maximal output so you need to be physically and mentally ready for a hard effort. • Step One: Make sure heart rate monitor is working and ready to record the whole workout. • Step Two: Do a 15min warm starting easily and gradually building the effort until you break a sweat. Ease into this warm up so that your aerobic system is fully on-line. • Step Three: As soon as you are done with the warm up continue immediately into the AnT test. Once you start, go as hard as you can sustain for the full 30min. • Step Four: Pace yourself so that you don’t blow up 5 minutes into the test. • Step Five: Note your average heart rate for the 30 minute test. This will be your AnT Heart Rate. Lactate Threshold (LT) Run/hike. Run/jog/walk at a pace you can maintain while breathing through your nose (assuming your nose is clear). Run/Hike on hilly terrain, vert gain min of 500 ft.
Run/hike on rolling terrain. Allow HR to reach up to the LT level you determined using either the LT test or the MAF formula at the beginning of this program. If you choose to hike, wear your hunting boots to get used to them. Run the flats if you can and hike the hills. Keep HR under LT or MAF HR. Just keep moving the whole time. Scott Ferguson, Ph.D. and George Bieker M.Ed. 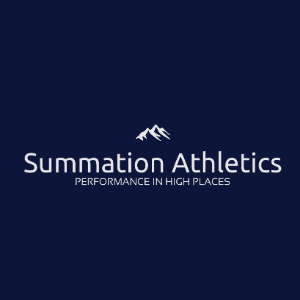 Summation Athletics offers training for a variety of activities based on the fundamental principles of exercise physiology. We specialize in mountain athletics including rock-climbing, trail running, mountaineering, big-game hunting, and alpine climbing.